In the past Apple has come up with novel designs for its notebooks, like the unibody MacBook Air first announced in January 2008. This design bled into Apple's larger MacBook Pro line up and eventually led to the company abandoning optical drives all together. 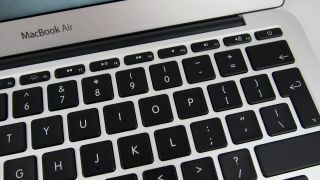 Seeing as there are so many laptops trying to emulate MacBook Air and Retina Pro's shape, Apple could cause another upheaval in the industry with this rumored thinner model. The same sources also suggested that Apple is working on a new 27-inch iMac or standalone to feature the hardware makers' first 4K display. 9to5 Mac claims the pixel-doubling technology of the current 27-inch iMac and Thunderbolt displays aren't up to snuff, but that could change with Apple's next line of products. The last bit of titillating rumor surrounds Apple's plans to continue working on OS X Yosemite until the last possible second. Supposedly Apple will continue releasing updated Developer Previews from the first version it seeds on September 29 all the way to early October. To get a sense of how close this will be to Yosemite's actual release, Apple will purportedly release a golden master build (the version ready for commercial distribution) sometime around October 10. OS X Yosemite just released into a beta and its already showing a lot of promise from our hands on review. With a down-to-the-wire development process the final release could be something truly spectacular - or potentially filled with tons of last minute bugs.